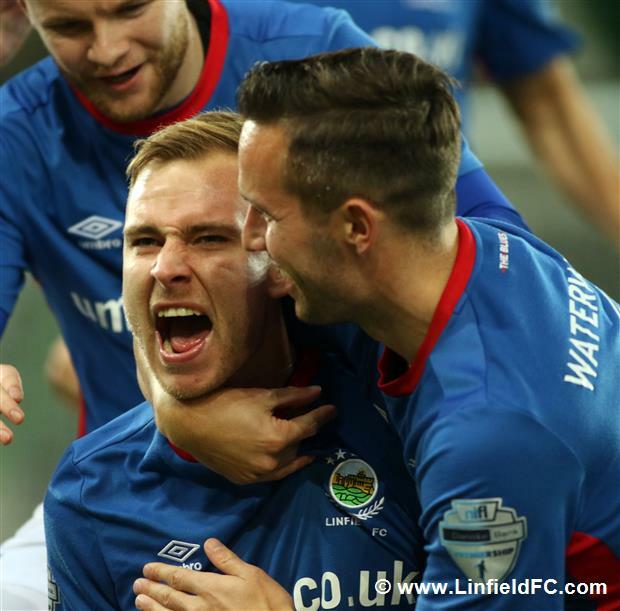 The Blues raced into an early lead from the penalty spot. 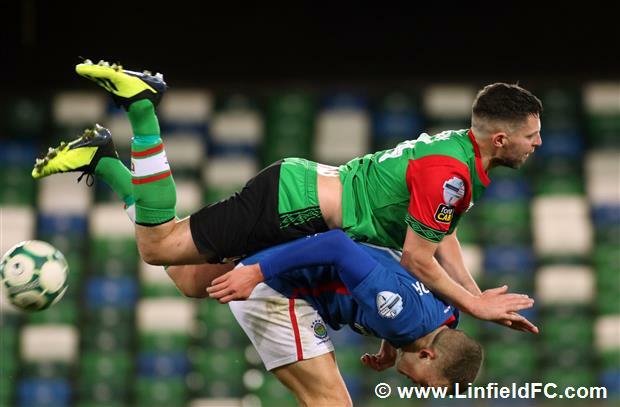 Glentoran failed to deal with Niall Quinn’s free-kick and Andrew Mitchell’s follow-up was blocked by the arm of Glentoran’s John Herron. 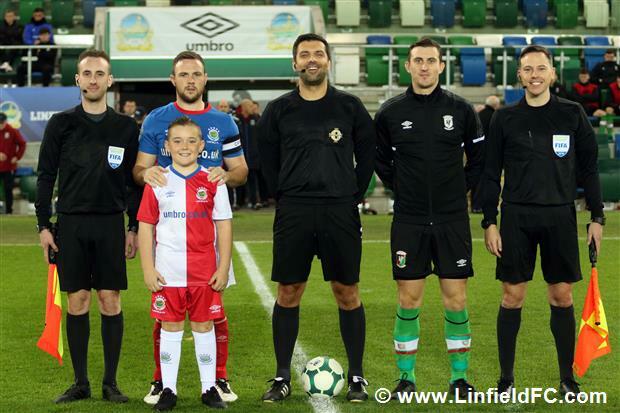 The referee showed no hesitation in pointing to the spot and up stepped Andrew Mitchell to send Elliott Morris the wrong way, dispatching the ball into the right of the net for his second goal of the season. 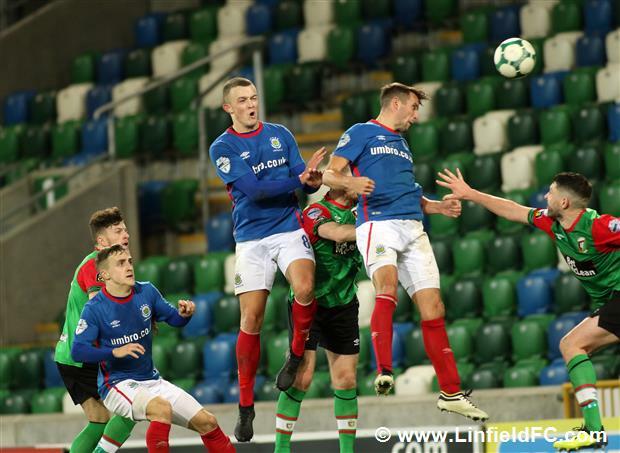 The referee then blew for a Glentoran free-kick when Linfield fired in a dangerous corner as Eliott Morris went down under a challenge and after treatment he attempted to continue, but he was ultimately forced to come off after failing to recover from the knock and Dwayne Nelson came off the bench. 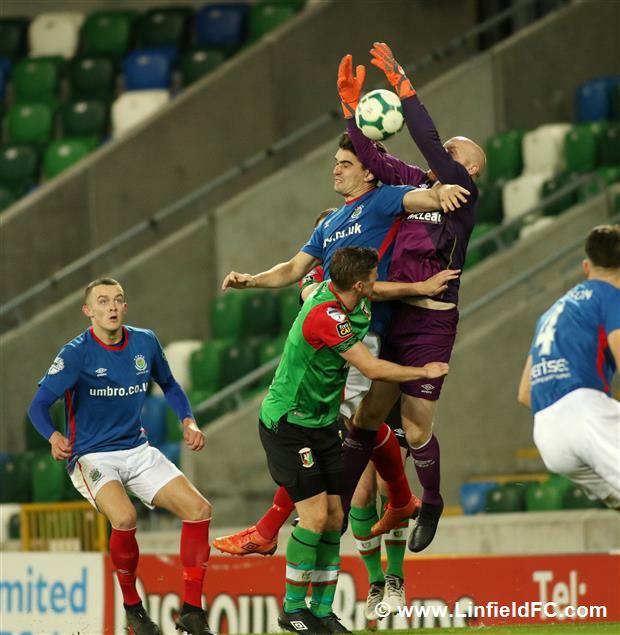 Roy Carroll’s only real action of the first half was to beat the ball away from a crowded penalty area after a Glentoran player got a flick-on, on Ross Redman’s corner from the right. 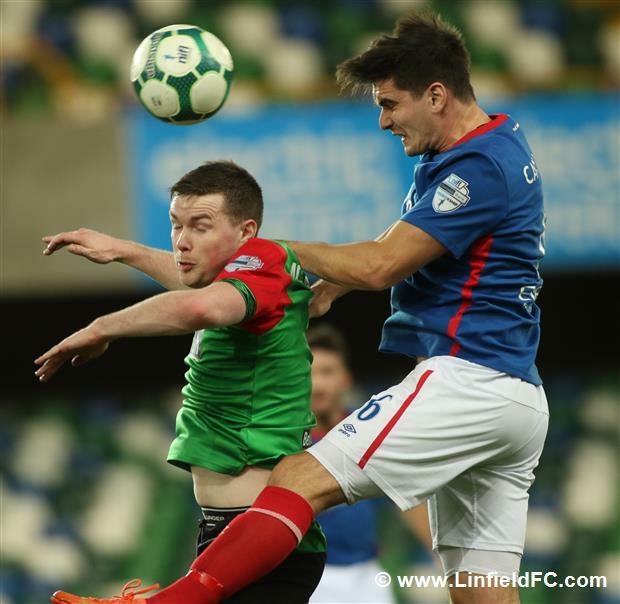 The Blues were unlucky on two occasions in quick succession when Niall Quinn drilled a strike at goal after Josh Robinson’s surge upfield, but his powerful strike was deflected away for a corner. 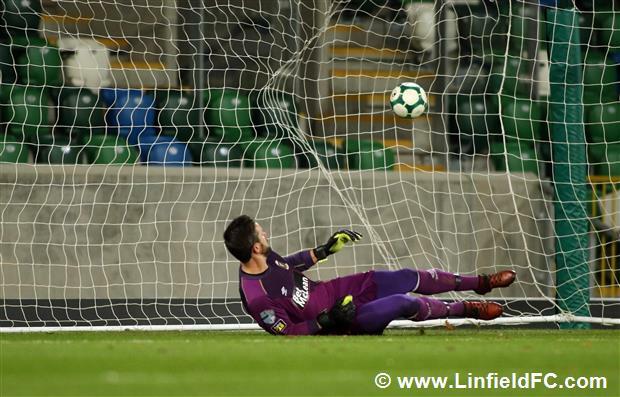 The resulting corner was supplied by Quinn and Callacher rose well but he headed just past the far post. 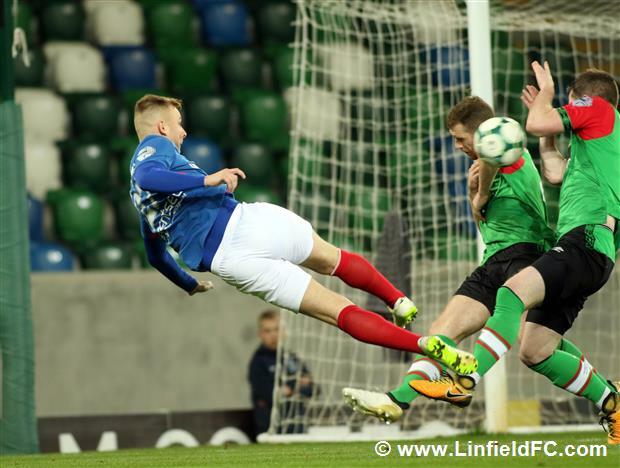 Linfield then took a one-goal lead into the break after Michael O’Connor came up with a vital block to deny John Herron’s goalward shot. 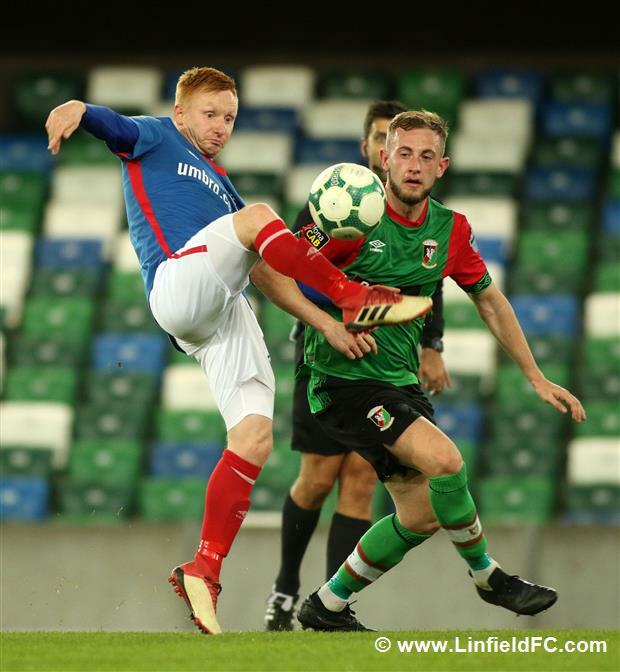 Glentoran drew level at the other side of the break when a corner was headed across goal and the ball eventually fell for midfielder John Herron in front of goal and he made no mistake, firing the ball emphatically into the net to the delight of the Glentoran fans in the North Stand. 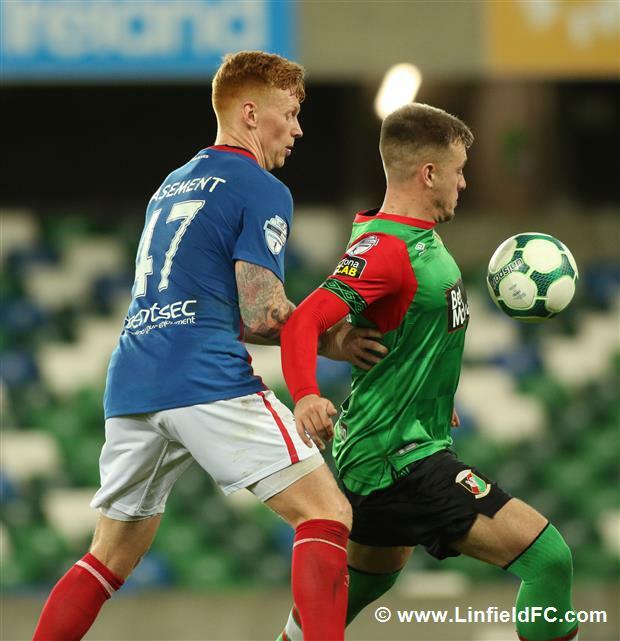 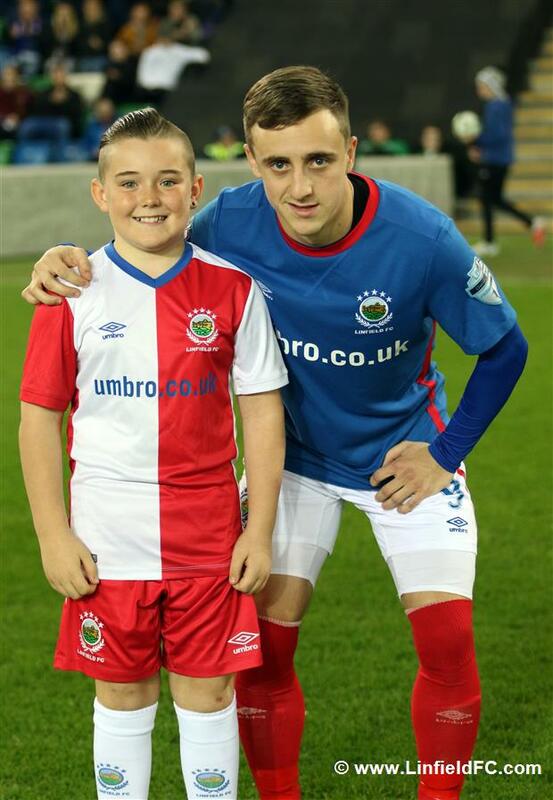 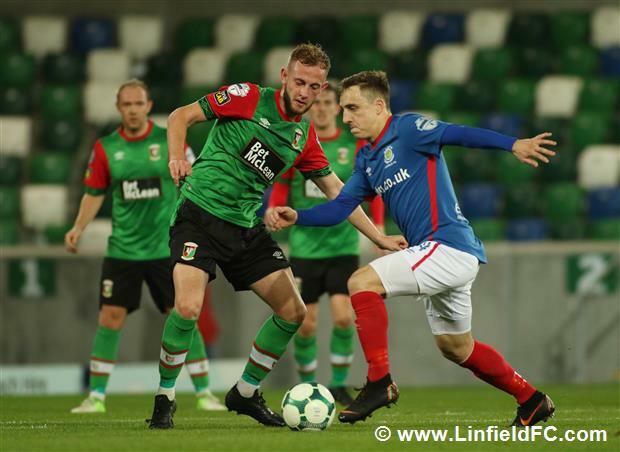 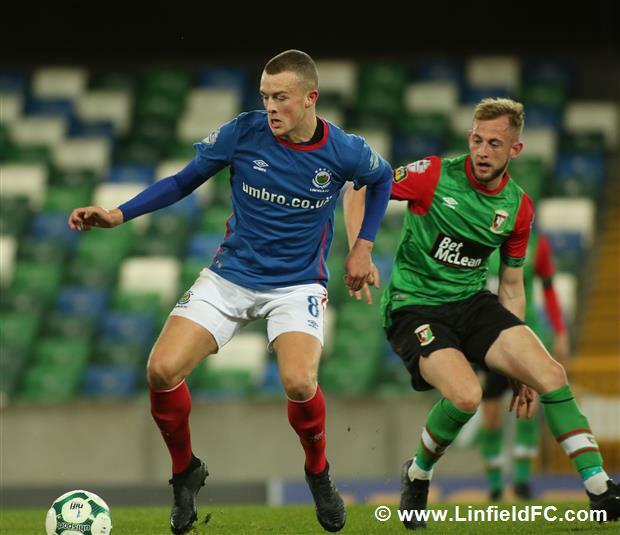 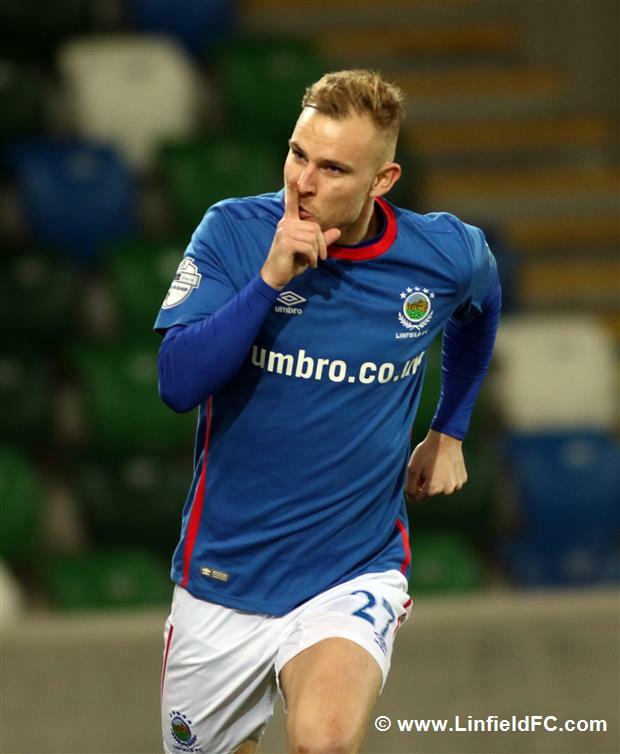 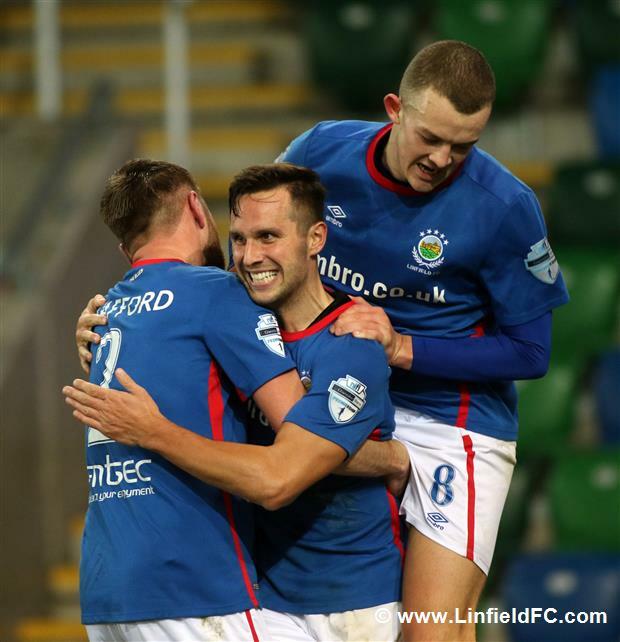 Linfield had the opportunity to retake the lead from the spot on 66 minutes when Jamie Mulgrew did exceptionally well before being halted just as he was about to score with Glens defender James Ferrin handling the ball. 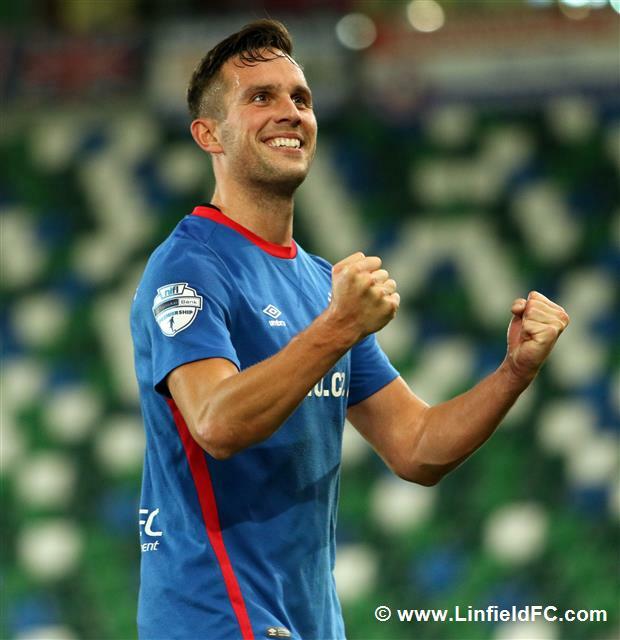 Andy Waterworth stepped up to the spot this time after Mitchell went off with a knock but the striker fired over the bar. 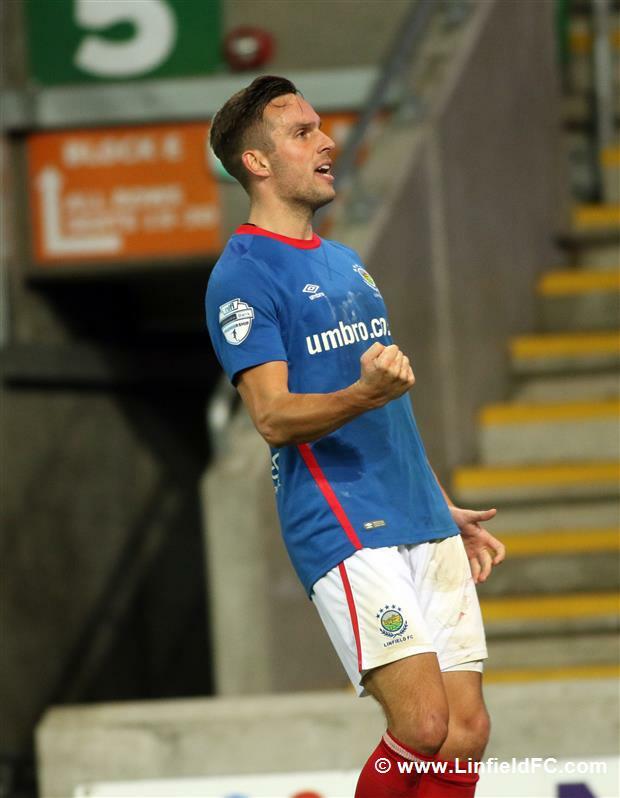 Waterworth almost finished off a neat move shortly after when Garrett’s cross was flicked onto the striker by O’Connor but he fired a left-footed shot just over. 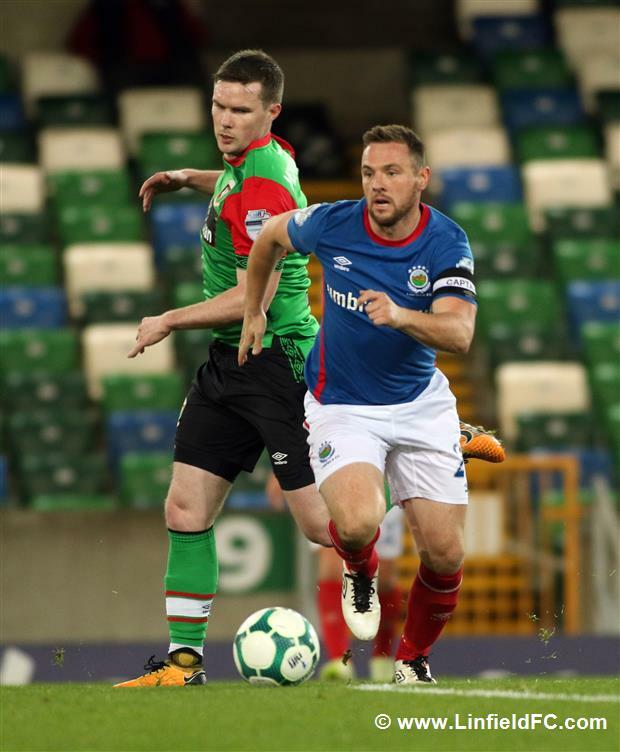 Glentoran should have snatched victory in the second of four added minutes when Nathan Kerr’s pinpoint cross was met by Paul O’Neill but he headed past the post when all he had to do was hit the target, meaning extra time was required. 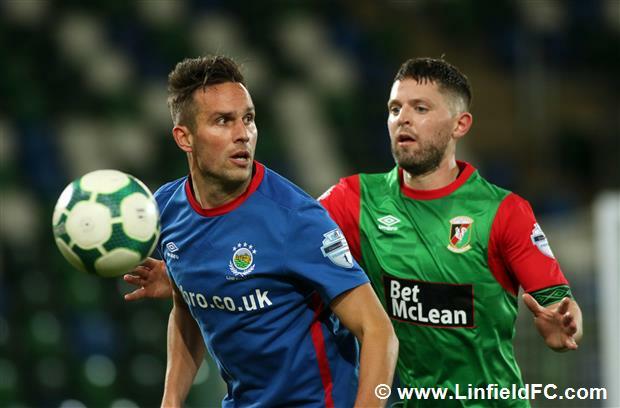 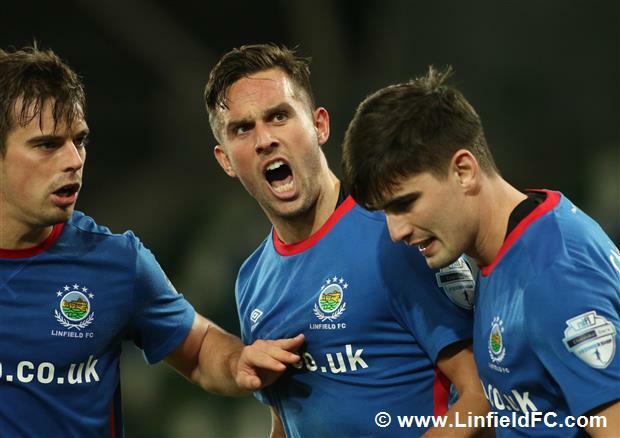 Extra time consisted of two 10 minutes halves and Andy Waterworth fired Linfield back in front seven minutes into the first half. 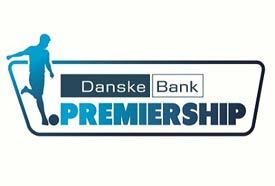 The striker nodded a long ball out to Kirk Millar who fired in a great cross for Waterworth to storm onto, and although his initial header crashed off the crossbar, Waterworth was following up to tuck away his ninth goal of the season. 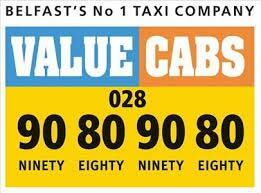 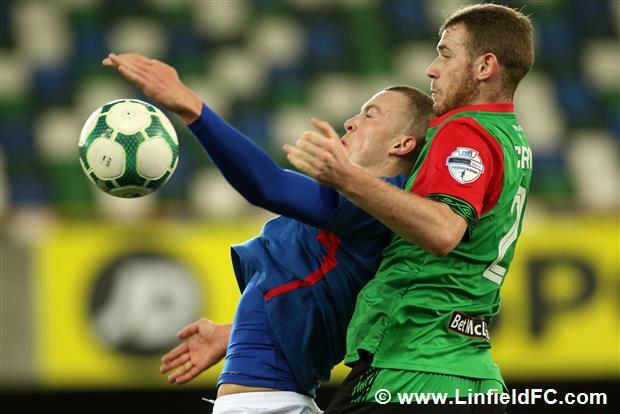 Glentoran could only offer a strike from distance from Ross Redman in response as Linfield held on for victory. 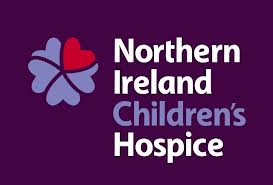 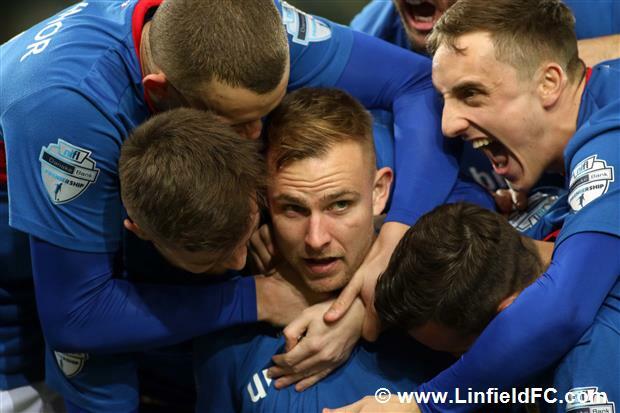 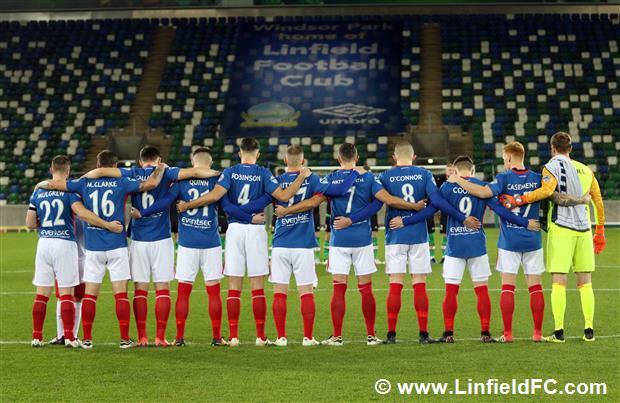 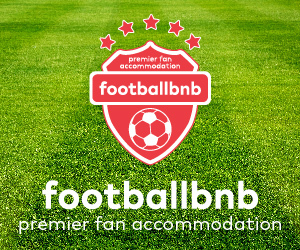 It was a stoic effort from the Linfield team who were playing with heart and determination and they reap their rewards with a place in the next round of the Co. Antrim Shield.